The very telling Instagram comment Karl Stefanovic chose to 'like' after his exit from Today. 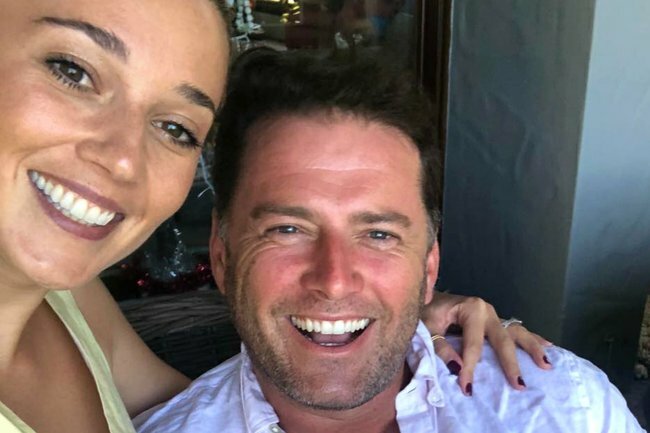 Karl Stefanovic has put up a positive public front, but by choosing to like a fan’s comment the 44-year-old might have just revealed what how he truly feels about his departure from the Today show. 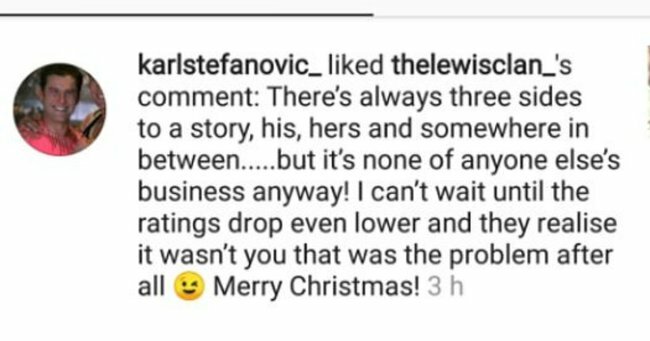 On Thursday the former Nine breakfast show host liked a comment on a photo of he and new wife Jasmine Yarbrough posted to Instagram. And it seems to suggest that he may not have as much goodwill towards the show and the network as he’s so far claimed. It seems to back up widely-held beliefs that Karl&apos;s exit from the Today show after 14 years wasn&apos;t quite as mutual a split as Nine&apos;s public statement suggested. "Nine and Karl Stefanovic have agreed it is time for him to step off the Today show," the statement read on December 19. Karl too suggested he was happy about the move in his own statement: "I look forward to seeing you in another capacity at this great Network soon." But it&apos;s been widely reported that Karl was sacked from the show due to poor ratings and the host&apos;s diminished public image. It&apos;s been reported that his split from wife Cassandra Thorburn and new relationship with a woman nine years his junior just months later contributed to a decline in viewers. Of course, the ratings slip - which saw Today come second to Seven competitors Sunrise this year - could have also had something to do with Lisa Wilkinson&apos;s abrupt departure from the show following failed pay negotiations in October last year. Merry Christmas from the Stefanovic/Yarbrough’s and our Queen, Nana Isabelle ❤️????⭐️???????????? Despite a run-in with paparazzi at Gold Coast airport on Christmas Day, Karl seemed happy during festive celebrations with family and friends after returning home from his honeymoon in Aspen. He appeared to have spent Christmas Day with Jasmine&apos;s family, featuring in a group photo on her Instagram.